Many Windows users rely on the lightweight version of Microsoft Outlook known as Outlook Express for their email, contact management, and calendar functions. While Outlook Express isn’t designed to integrate with Microsoft Exchange for full enterprise contact management and scheduling effectiveness, it is a great alternative for home users who aren’t aware of the added functionality they’re missing. One of the drawbacks to Outlook Express in a home or small office environment compared to a full blown Outlook/Exchange implementation at the enterprise level is the lack of the IT staff to support the product. Home and small business Outlook Express are on their own when an email or attachment goes missing. That being said, they still have effective options available to recover Outlook Express files. Users can try the tools located within the Windows operating system to restore Outlook Express. If that fails, they can turn to third party software like Stellar Phoenix Outlook Express Recovery to recover deleted Outlook Express email. Do You Have The DBX File? In order to use the Outlook Express Recovery Software you first need the DBX file. 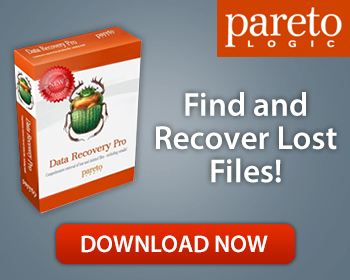 If the DBX file is missing, deleted, or lost, you will need ParetoLogic’s Data Recovery Pro in order to recover it. Simply download the software and run a scan for the file that is lost. This will help you recover deleted Outlook Express Files or lost DBX files. Stellar Phoenix Outlook Express Recovery can only be used if you HAVE the DBX file. Can I Recover Lost Outlook Express Files Manually? While there are no guarantees, you can certainly try. The first place to look for missing emails or attachments would be the trash folder in Outlook Express. If you are unable to recover deleted email from the trash can, you can move your efforts to the Windows operating system. Try looking in the recycle bin in Windows for lost Outlook Express files. If your fishing expedition in the recycle bin fails to bear fruit, try to restore deleted emails, attachments, or other files by using Windows search. When using Windows search, the overriding rule is to be general in your search criteria. Specify searching the entire computer and all attached drives. Additionally, don’t be overly specific with the file name or key words. Last but not least, do not specify a file extension as part of the name. Hopefully the general nature of the search will generate a list of possible matches, with one of them being the file you’re looking for. If not, it’s time to move on to third party software. Stellar Phoenix Outlook Express Recovery is a powerful data recovery software package, specifically designed to recover Outlook Express files. The program searches deep into the hard drive to recover deleted and lost email files. The software works because files that are deleted aren’t physically removed from the hard drive. Providing new data hasn’t been written to the location of your missing file, Stellar Phoenix Outlook Express Recovery should be able to recover your lost Outlook Express files. Email is a central point of communication for many individuals, families, social networks, and business. If you are unable to locate important emails or attachments you can’t communicate with your peers and family effectively. Stellar Phoenix Outlook Express Recovery can quickly restore Outlook Express so you aren’t at the mercy of missing messages or attachments.